I have to start by telling you… I can barely type this post given that the skin on my fingers is practically nonexistent thanks to a run in with a pot of hot caramel. But because it is Christmas and in the spirit of good will and all that other happy stuff that goes on at Christmas time, we shall continue. Teacher’s gifts, hostess gifts, and neighbour’s gifts. Gifts for the GP, the physio, the chiropractor, the dog groomer, the cleaner, the basketball coach, the long lost Uncle and the reliable Garbos. The list of people I seem to forget until the last minute when it comes to Christmas pressies goes on and on and on and… you get the idea. You would be seriously broke if you went out and brought something for all of those people. And apart from the money burning holes in your pocket kind of situation… what the hell do you even buy for all of those people??? Well I am partial to a good old fashioned homemade gift. Something made with love and joy and blood and tears and half the skin from your fingers. I’m not making this sound very appealing am I? 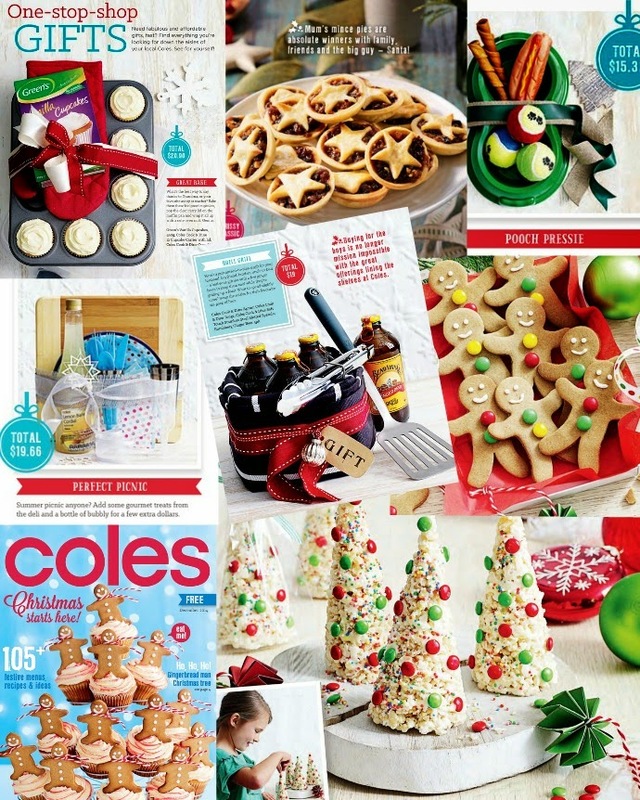 In the December Issue of Coles Magazine there are pages upon pages of DIY gifts from the kitchen and BAM… just like that, the problem of what to buy for all those randoms mentioned above has miraculously been solved. 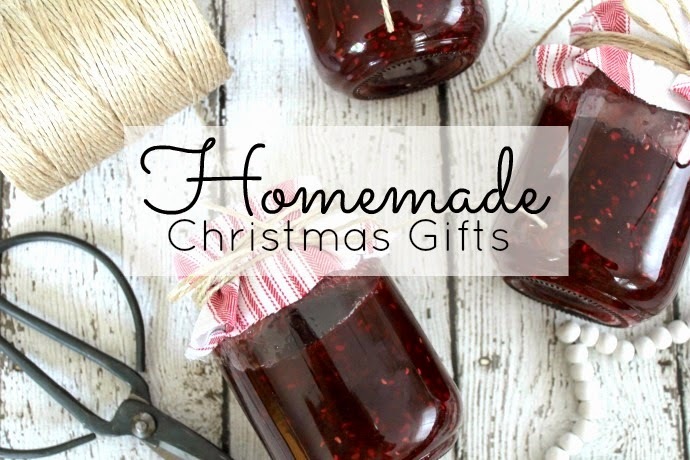 I have a story to tell you first (of course) and I want to show you some of the homemade gift recipes I tried out for myself. 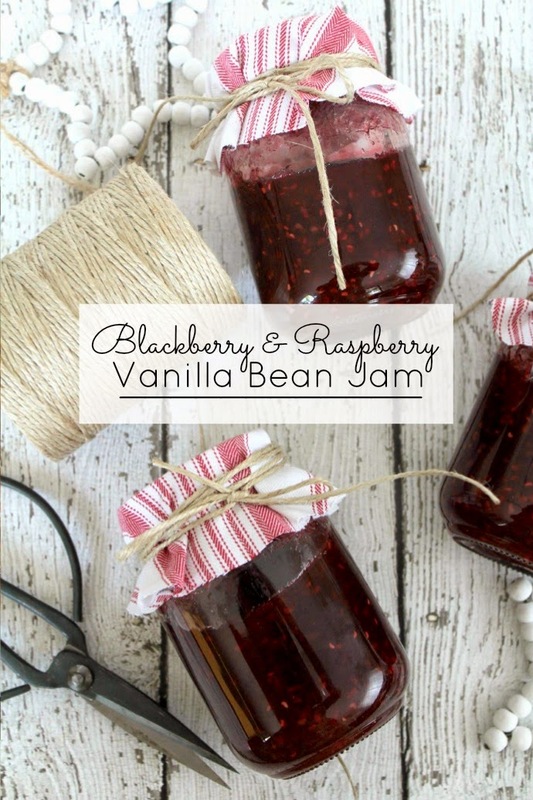 OK so first up we have the Blackberry Raspberry and Vanilla Bean Jam. We are not friends this jam and I. Alright, we are kind of OK with each other now that my mum came to the rescue. You see the thing about recipes is that you are supposed to follow them. Yep each and every step has a purpose… and usually that purpose is to make sure you actually reach the desired result at the end of all your hard work. And when you do just so happen to miss that one important step that is vital to ensuring your jam sets, then you can officially wipe the know it all part from your name. Yep I skipped that one important step and when my jam didn’t set I rang my Mum and was all “MUUUMMM why isn’t my jam setting sob sob”. But don’t go anywhere just yet … I’m not quite done. 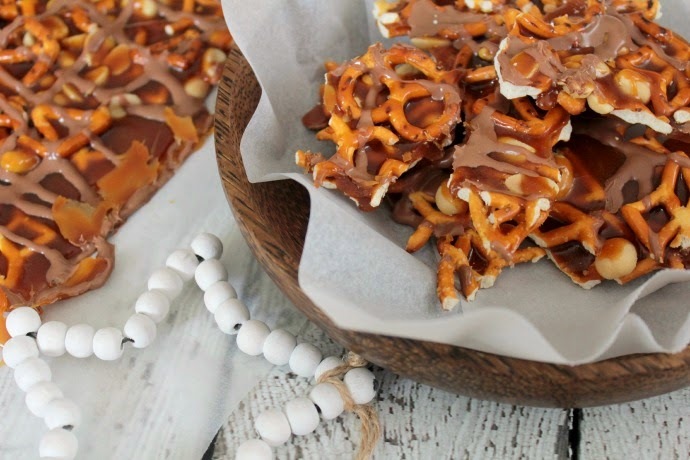 We still have the matter of some Salted Caramel Pretzel Bark which is responsible for me losing the skin on my fingers. I’m gonna be honest with you here. It took two failed batches of caramel and a whole wasted block of good quality chocolate before I got this one right. Again, I don’t think I *ahem* followed the recipe right. I had all the best intentions of taking a photo to show you my disaster, you know in the spirit of keeping it real and all that. But after I dropped the second disastrous batch onto the kitchen floor and the dogs gave it a good licking, I didn’t think it would make for a pretty blog picture. A batch of Salted Caramel Pretzel bark that I actually got right. Don’t mind me if I look away at this point because although this tasted insanely good, I don’t think I can ever look at it again… I tasted far too much of it when I was trying to get that sucker right. 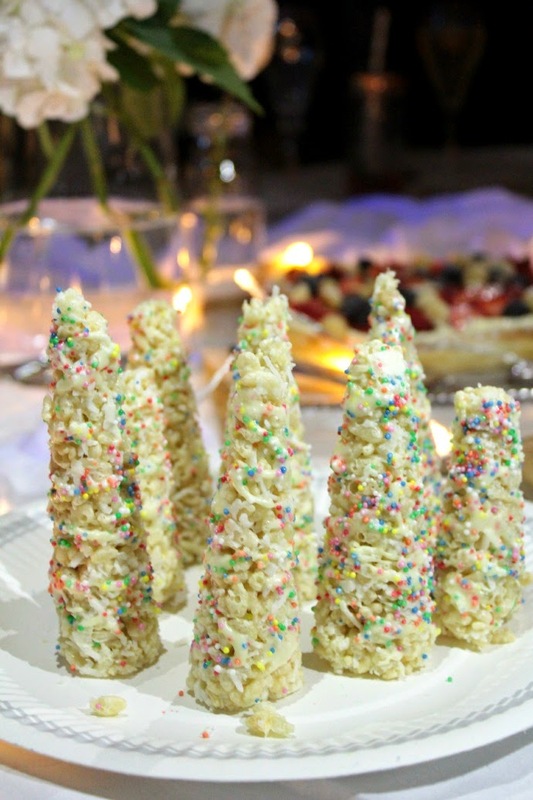 As I mentioned earlier, the December Issue of Coles Magazine has a sack full of recipes for homemade Christmas gifts, including the Salted Caramel Pretzel Bark and Blackberry, Raspberry and Vanilla Bean Jam and the White Chocolate Christmas Crackles I made for a Christmas party the other night. (More details on that in a post coming soon). All the recipes can also be found on the Coles & Taste websites. If Martha Mudguts is not your name and cooking up gifts isn’t your game (see what I did there? Did you, did you? ), then fear not Pork Chop – there are a load of gift ideas you can throw together for under $20 bucks, all made with items you can pick up at your local Coles store or Coles online. So that it Christmas gifts officially done and sorted for me. 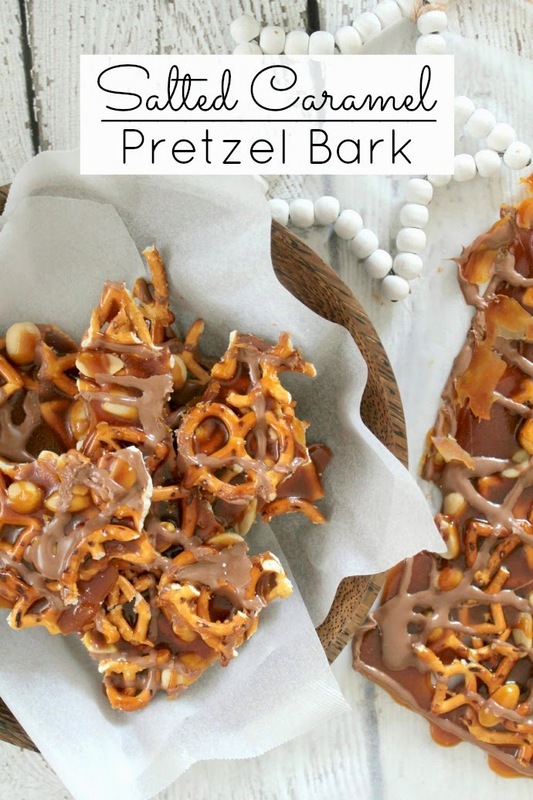 Everyone is getting Jam… cause ahhh there’s not a whole lot of that umm Pretzel Bark left. 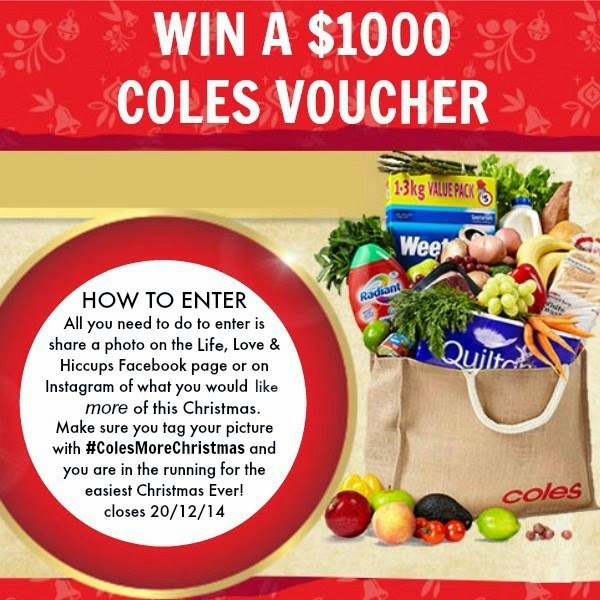 Now one more thing before you bail on me… how do you fancy winning a $1000 Coles voucher? Coles is all about making Christmas easier for us, and what could be easier than having what is in my opinion, one of the most painful Christmas costs paid for you - The Christmas grocery shop! Yep yep yep, Coles is going to do exactly that for one lucky winner – provide you with a $1000 Coles voucher to cover your Christmas grocery bill. All you need to do to enter is share a photo on my Live, Love & Hiccups Facebook page or on Instagram of what you would like more of this Christmas. Use the tag #ColesMoreChristmas and that’s it! You are in the running for the easiest Christmas Ever! This competition is not exclusive to Life Love and Hiccups and one winner will be chosen from entries submitted across 6 individual blogs. The competition is open to Australian residents only and is a game of creativity in which the judge’s decision is final. 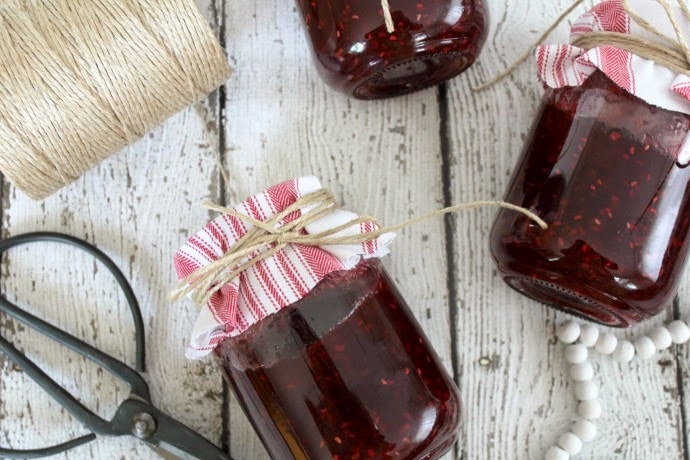 Had a go at any homemade Christmas Gifts this year? Have you got a stash of pressies ready for anyone you may have forgotten about?